O/H Oct 26 2-4. OTP Oct 28th Amazing Opportunity! A home of this quality is Rarely Available! This massive, 4 bed/ 2 bath, 2storey home is loaded with features that are sure to impress!!! On the main floor you will find a bright and spacious white kitchen, a lovely formal dining room, an oversized living room with STUNNING built-in?s, a powder room and main floor laundry! 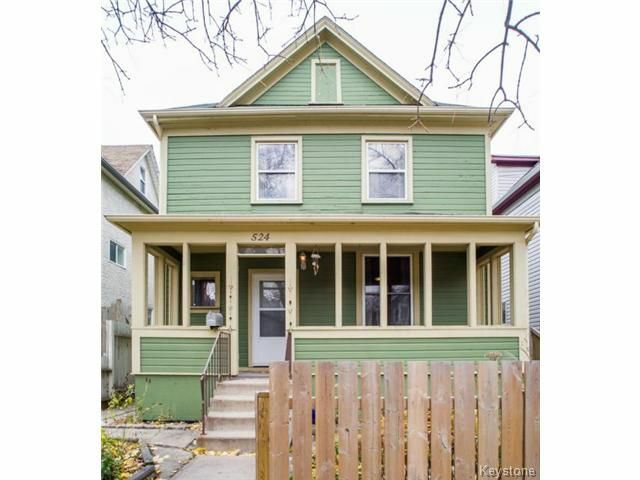 Upstairs find four LARGE bedrooms and a full 4 pc bath. Updated windows, an HE furnace, newer HWT, and newer attic insulation are a few of the reasons this home has VERY low energy bills! In the fully insulated lower level you?ll find high ceilings and loads of storage space! The charming yard features a Manitoba perennial garden in the front and a west facing cobblestone yard with above ground gardens and a fire-pit in the back. The oversized single car garage with remote access is an added feature to this gorgeous home. Close to all amenities, the U of W and rapid transit you will not want to miss this one!